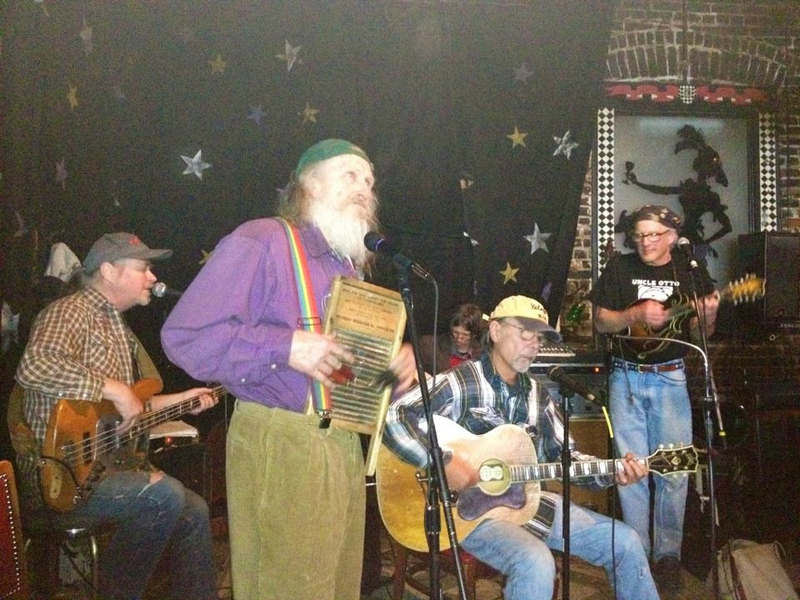 This band of veteran players was formed in 1998 and featured the legendary Turtle VanDemarr (Dan Hicks and his Hot Licks, Fly-by Nite Jass Band, Fritz Richmond's Barbecue Orchestra and currently The Freak Mountain Ramblers) on guitar and vocals; David Reisch (Holy Modal Rounders, Clamtones, Michael Hurley and also currently The Freak Mountain Ramblers),on bass and vocals, Spud Siegel (Famous Potatoes, Floating Glass Balls, Fritz Richmond's Barbeque Orchestra) on electric mandolin and vocals, and the late and beloved Reverend Billy Hults (Fly-by-Nite Jass Band) on washboard and percussion. They have recently talked another legendary musician, John Browne (PH Phactor, Melodious Phunk) on washboard, harmonica, percussion and vocals to join RC & The Phoreheads. John and Billy used to play music together back in the day and god knows that Billy is jumping for joy! Billy's description of their music was "rock & roll jazz, with a lot of blues and rockabilly influence." Everything from the Rolling Stones to Dan Hicks to Johnny Cash to the Holy Modal Rounders. The music is contagious.